In a recent conversation with a few collectors about the first Topps set, it got me thinking, what do collectors feel is the first Topps set - 1951 Topps Red and Blue Backs or 1952 Topps? Before we dig into the survey results, let's review each of these two sets. → These cards have rounded corners, have playing-card style backs, and are a bit smaller than the standard size. The Red Backs are Set A (52 cards), while the rarer Blue Backs are Set B (52 cards). The cards were sold in 2-card packs with a piece of caramel candy and used for a game in which you shuffle the cards and pull one at random. 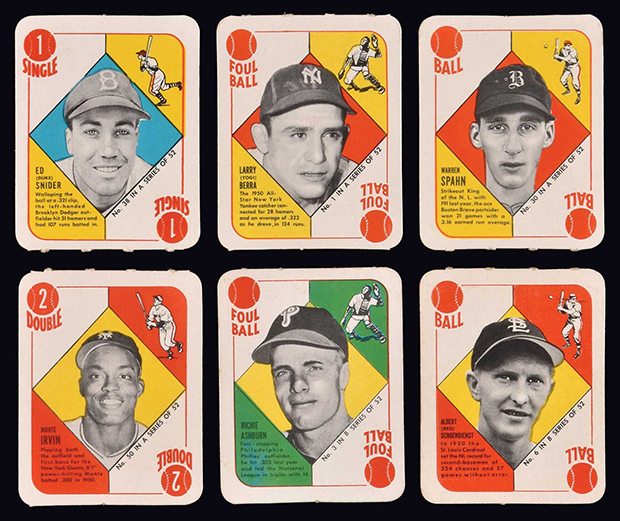 → This 407-card set features the classic multi-series, stat-backed roster with dimensions a little bigger than the standard card (size became standardized in 1957). This is considered Topps' first major set and features the most iconic post-war sports card of all time - the 1952 Topps Mickey Mantle. In my experience, I've learned that some collectors discount the 1951 Topps Red and Blue Back sets as not being official releases due to their game nature, while other collectors didn't even know these sets existed. Sure, these sets aren't not nearly as popular as the 1952 Topps release but they're still a product of Topps from the year prior, which by their vary design makes them the first Topps sets. Between the 1951 Topps Red & Blue Back, and the 1952 Topps base set, which do you feel is the first Topps set? The data shows that 70% of collectors surveyed feel the 1951 Topps Red and Blue Back sets are the first official Topps sets. I was surprised to see 30% of collectors surveyed indicate that they felt the 1952 Topps set was the first release. I always just assumed that if you're presented with two options with stated origin dates and asked to select which came first, you'd select the older one by default. The results of this survey, however, falsifies that assumption. 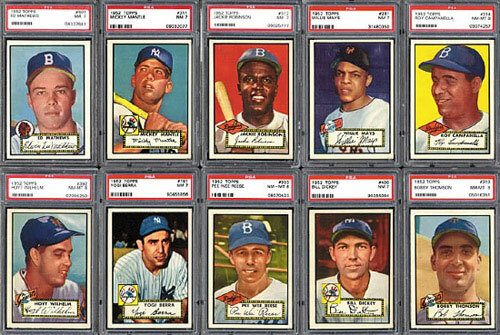 The results show that some collectors feel that Topps began producing sets in 1952. The 1952 Topps set was the first set to showcase the classic multi-series, stat-backed roster of cards, which has become a staple of Topps' brand essence even in the modern era. That said, there are purist collectors who believe this to be why they feel Topps officially began in 1952. Which of these do you feel is the first Topps set? Most people also don’t realized the Red Back Set actually had 54 cards in the set. There were 2 variations that actually increased the count of cards but the numbering remained the same.